Monday on The Robert Scott Bell Show: LIVE! From The NOCO Hemp Expo in Denver CO! Starting with the inaugural NoCo Hemp Expo and going through NoCo5, we have been contemplating the past, cultivating the present and creating the FUTURE of hemp. As we roll into NoCo6, and 2019, the landscape for domestic hemp farming, processing, manufacturing, marketing and sales in the USA are going to change dramatically. Join the largest gathering of hemp industry professionals under one roof as we evolve and transition from a nascent industry with potential to a professional industry capable of exponential growth and unparalleled positive impact. Launched in early 2017, the U.S. Hemp Roundtable is a coalition of dozens of hemp companies – representing every link of the product chain, from seed to sale – and all of the industry’s major national grassroots organizations. Our goal is to secure passage of bi-partisan legislation in the U.S. Congress that would establish hemp as an agricultural commodity, and permanently remove it from regulation as a controlled substance. Our efforts include an aggressive, targeted, grass-tops lobbying campaign that will bring leading farmers and business executives to Washington to help improve upon and secure final passage of HR 3530 (Industrial Hemp Farming Act of 2018) in the U.S. House and the soon-to-be-released Hemp Farming Act of 2018 in the U.S. Senate. Ashish R. Talati leads Amin Talati & Upadhye’s FDA practice and is one of the industry’s foremost experts on FDA regulatory matters. 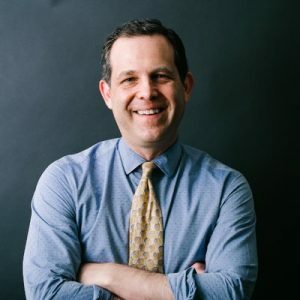 He has gained an exceptional reputation for his successful results at the cutting edge of FDA and regulatory law, where he has responded nimbly to changes in the regulatory climate and the marketplace, guiding clients through some of our industries’ most complex issues. 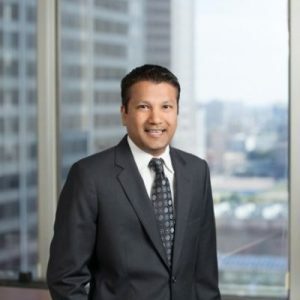 Ashish Talati represents a number of companies in the hemp and CBD space. He says the Farm Bill will reduce risk because hemp under 0.3% THC will be legal under the Controlled Substance Act. Supplement companies should find it easier to navigate banking and merchant processing accounts, and retailers will be more open to carrying the supplement. 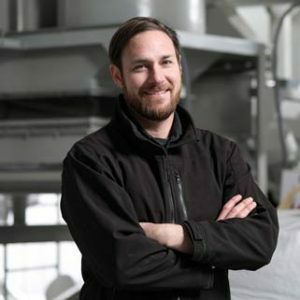 Chad is an entrepreneur passionate about developing impact based businesses with sustainable supply chains. Chad moved from California in 2014 and put down roots in Northern Kentucky, where Victory Hemp Foods is based. A graduate of the Village Capital Agricultural Accelerator, his network in the food system is far reaching at high levels in the private and public sectors. The White House invited Chad to represent Kentucky and Victory Hemp Foods at the Global Entrepreneurship Summit in Palo Alto, where he met with POTUS’s Entrepreneurial Ambassadors and 700 other entrepreneurs from 170 countries to work on solving for some of the world most pressing issues here at home and abroad, including food security. 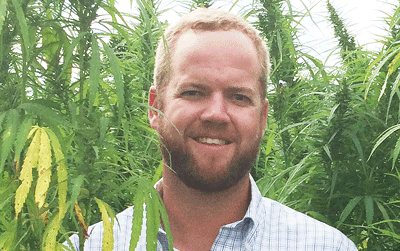 Chad is dedicated to bringing hemp into the rural economy where sustainable economic development is a priority. 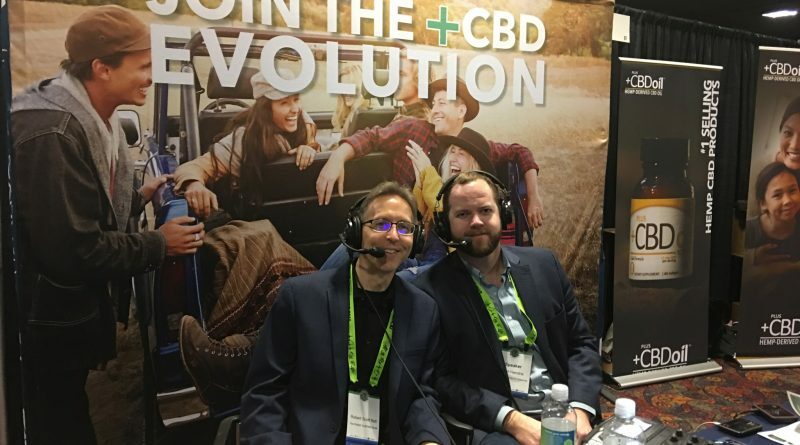 CBD Expected to Have Explosive Growth In European Union As advocacy groups have battled for legalization on both the state and federal level, the CBD and marijuana markets in the United States have experienced enormous growth in the past few years, to the degree that one estimate suggests the legal marijuana market will be worth more than $146 billion by 2025. While the European Union has experienced less explosive cannabis market growth due to the complex and widely varying cannabis regulations in each individual country, that’s poised to change, according to a recent report from the Brightfield Group, an analytics market and research firm. Per the report, the European CBD market, which is expected to be worth $416 million by the end of 2019, is projected to be worth $1.7 billion by 2023. The cannabis market in general — which includes all cannabis products, including recreational — is also set to experience rapid growth, from $318 million in 2018 to nearly $8 billion by 2023. Walgreens to sell CBD products in 1,500 stores Walgreens will sell CBD creams, patches and sprays in nearly 1,500 stores in select states, the company told CNBC on Wednesday. The drugstore chain will sell the cannabis-based products in Oregon, Colorado, New Mexico, Kentucky, Tennessee, Vermont, South Carolina, Illinois and Indiana. Walgreens declined to specify which brands it would carry. “This product offering is in line with our efforts to provide a wider range of accessible health and wellbeing products and services to best meet the needs and preferences of our customers,” Walgreens spokesman Brian Faith said in an email to CNBC. Rival drugstore chain CVS introduced CBD-containing topicals, including creams and salves, to stores in eight states earlier in March. As the non-psychoactive cannabis compound becomes one of the hottest ingredients in consumer products, retailers are carefully evaluating the market. Meet the Pro Athletes Advocating for CBD At just 19 he was already playing professional hockey, first in the minor leagues and then moving on to the big time in the NHL. Over 14 years, he became known as one of the toughest enforcers in the league. But that badge of honor came with a price. Nearly two decades worth of big collisions, battles for loose pucks, and bare-knuckle brawls resulted in broken bones, surgeries, and more than 20 concussions. Scars healed, but the pain lingered. The dream could have become a nightmare for VandenBussche if he chose to go down the painkiller rabbit hole. But he didn’t. He found cannabidiol. Otherwise known as CBD, cannabidiol is one of the 100+ chemical compounds, or cannabinoids, found in cannabis plants. Unlike its close chemical cousin tetrahydrocannabinol, or THC, CBD cannot get you high. What it can do, purportedly, is help people sleep better, improve muscle recovery, and even assist with more dire medical conditions like epilepsy. 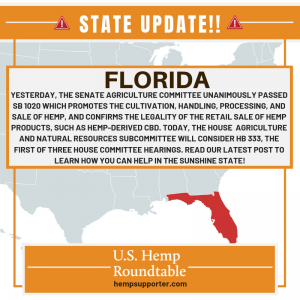 HEMP MOVING FORWARD IN FLORIDA We are excited to report some real progress for hemp and hemp-derived CBD in the Sunshine State. Yesterday, the Senate Agriculture Committee unanimously passed SB 1020 which promotes the cultivation, handling, processing, and sale of hemp, and confirms the legality of the retail sale of hemp products, such as hemp-derived CBD. During the committee meeting, a number of groups and individuals joined the U.S. Hemp Roundtable in voicing support for the legislation. The bill moves next to the Senate Rules Committee, the last stop before heading to the Senate Floor for a final vote. While the legislation has a ways to go, we are grateful to our bill sponsors, Senator Rob Bradley and Senator Ben Albritton. Today, the House Agriculture and Natural Resources Subcommittee will consider HB 333, the first of three House committee hearings. The House committee is expected to consider an amendment that does not include the sale of hemp products. However, the Roundtable’s lobbyists on the ground will continue to work with the bill sponsors, the Department of Agriculture and Consumer Services and other interested parties to further amend that into the House bill. Mitch McConnell pushed for hemp legalization. Now Kentucky farmers are tripling down on the crop U.S. Senate Majority Leader Mitch McConnell of Kentucky pushed to get the hemp legalization provision in the 2018 farm bill. In 2019, his home state is set to see acreage more than triple as tobacco sales decline. 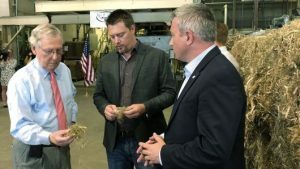 “Industrial hemp is promising and is the fastest area of growth in Kentucky agriculture,” Ryan Quarles, Kentucky commissioner of agriculture, told CNBC in an interview. “We don’t know if industrial hemp will replace tobacco, but we are going to champion it.” Industrial hemp is used on a wide range of products, including apparel, foods, pharmaceuticals, personal care products, rope, car parts and building materials. Yet the majority of the U.S. hemp market today is for products that include the non-psychoactive compound cannabidiol, or CBD. 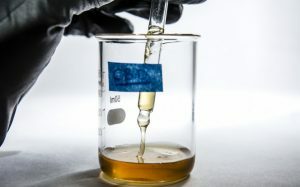 Large retailers have started to carry CBD-infused products, such as oils, used for a wide range of medical conditions, from epilepsy to arthritis pain. ← Total Health Toronto, Anti-vaxxer billions, Cholesterol shingles, Rachel Parent, Kids Right To Know, Conjunctivitis, Paul Barattiero, Molecular Hydrogen, CBS Measles FAIL, NYC measles blunder, Diverticulitis options and MORE!